The student choir “Folk-jazz formation” of the New Bulgarian University is one of the newest and most original Bulgarian youth choirs with concert activity. The choir has many first and special awards at national and international competitions. 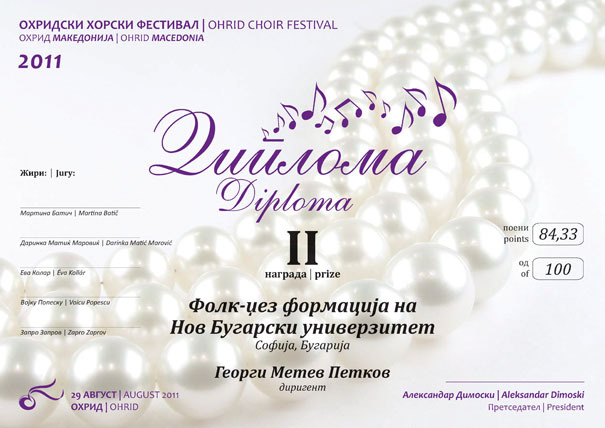 The choir was founded in 2002 by assistant professor Georgi Petkov and it is recognizable by its own style, based on original Bulgarian sound and combining elements of different modern gernes with traditional Bulgarian music. The choir has won several first place prizes at international competitions. 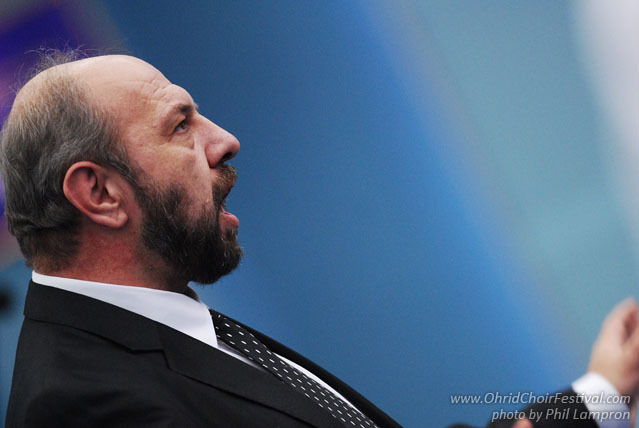 In 2010 the “Folk-jazz formation” was nominated at “Crystal Lyre” for its biggest achievements in Bulgarian choir art. Assistant professor Georgi Petkov is a music teacher at the New Bulgarian University, where he is a well known conductor and composer of the international scene. His work as a composer consists of more than 200 compositions, many of which have been published by well known musical companies. Specific features of his work are his postmodern style and his work in world-music style. As a composer and arranger he has been invited to work and be co-author with world famous musicians – Adriano Chelentano, Bobby McFerrin, Enrique Morente, Mihail Alperin, Moscow Art Trio, Huun-Huur-Tu, and Okay Temiz, to name a few.